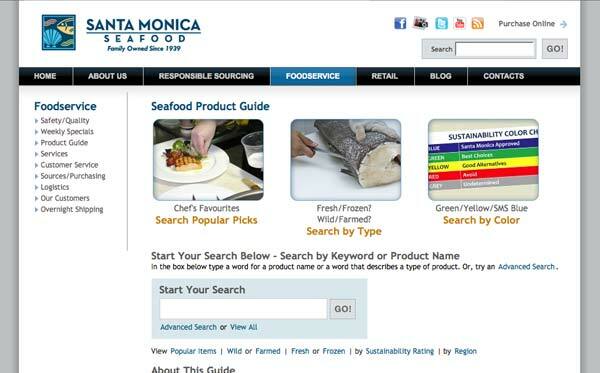 The Challenge: Evolution Design designed and developed a website for Santa Monica Seafood several years ago. 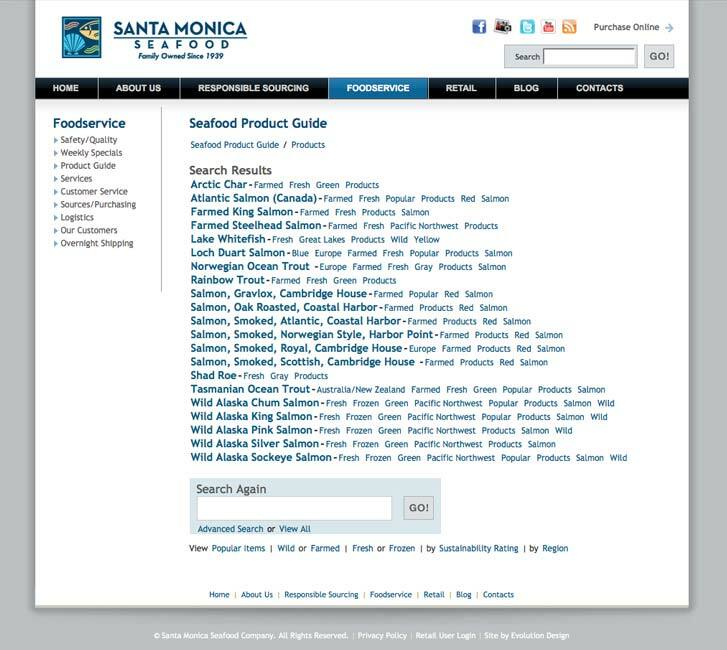 One of the key features was an animated “flipping book” feature for their product catalog and other top-level content. More recently the company created a detailed Powerpoint presentation showcasing their most popular products. 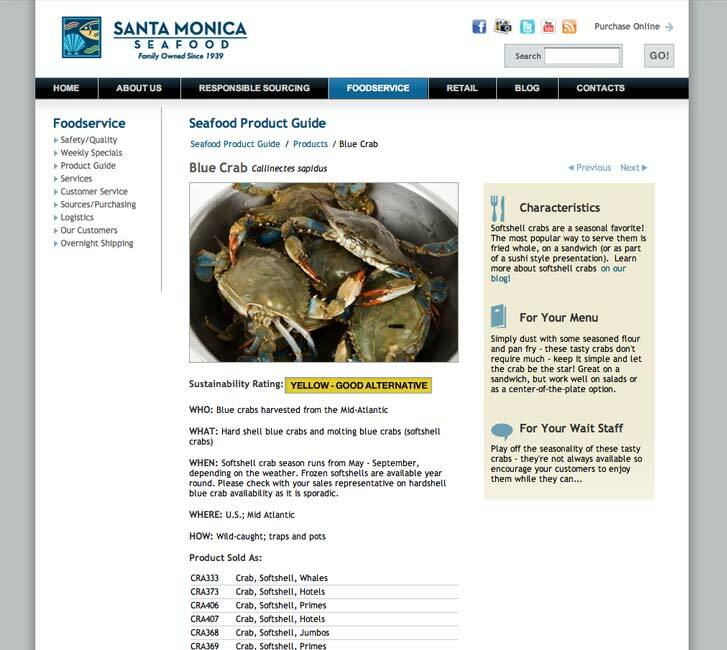 This new printable guide offered much more detailed information than the website did, so we immediately added links to the PDF files to the site so that customers could start accessing the information right away. We then started design and development of a custom online product guide to display the added product details in a more web-friendly way than PDF files can offer. 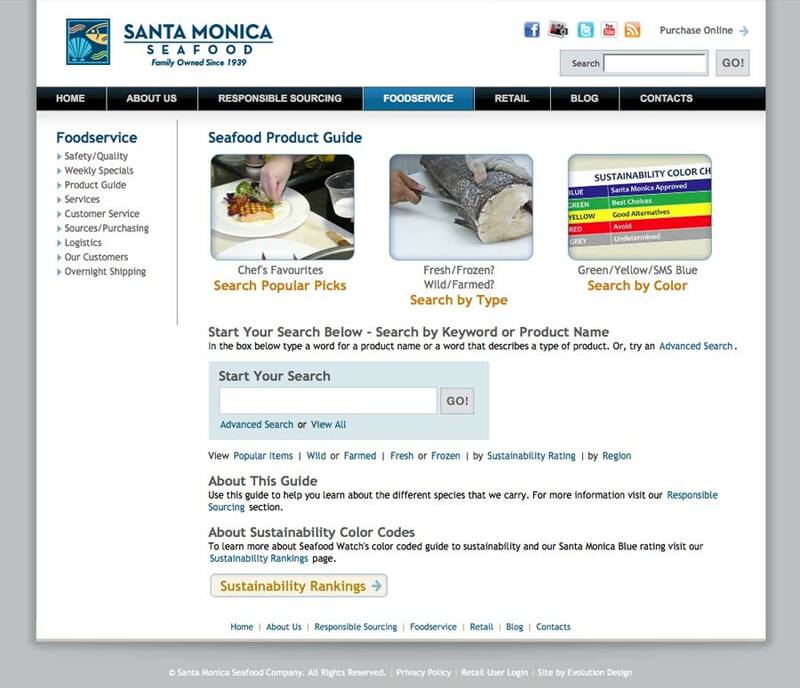 The Solution: A custom user interface design was created, aimed at showcasing the client’s detailed product information, sustainability education, and links to similar products. 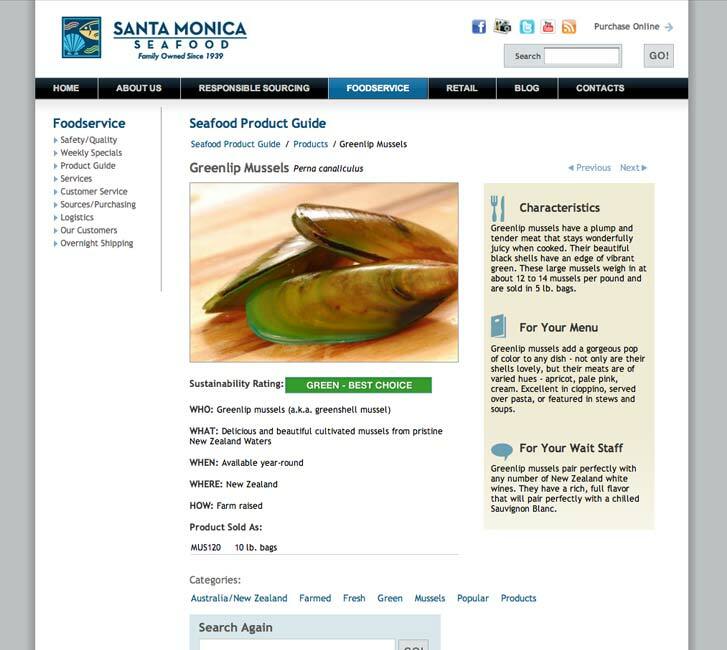 On each product page, harvest and sustainability information is shown at top, with product tips for restaurant managers and servers provided in a separate column. 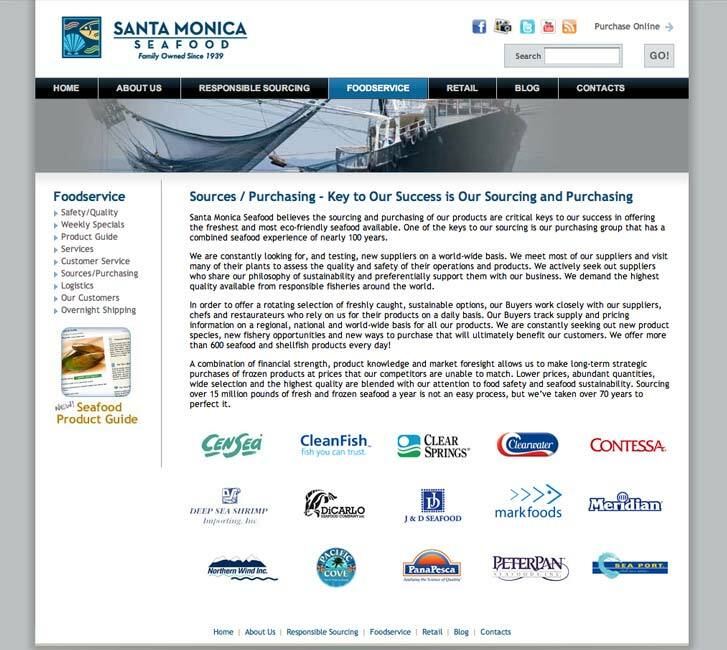 Once the design and content structure was approved, Evolution Design developed a custom front end and back end solution, integrated with the existing Drupal website design.